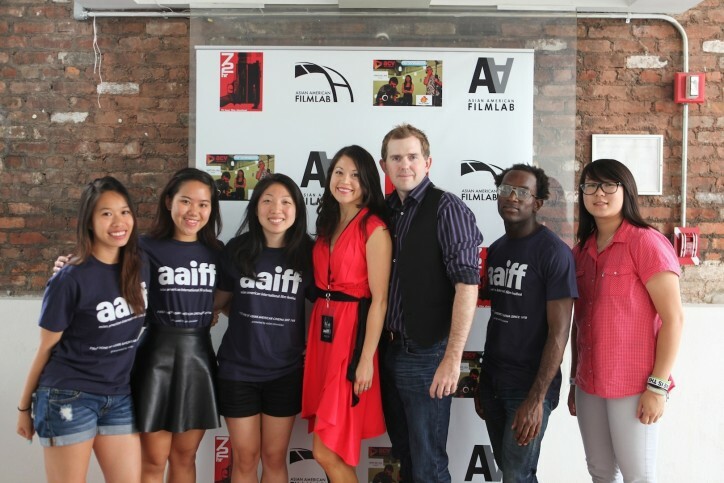 The Asian American Film Lab (Film Lab) today announced the winners of the Ninth Annual 72 Hour Film Shootout (“Shootout”) at the prestigious Asian American International Film Festival (“AAIFF’13”). Executive Director of Asian CineVision John Woo, Film Lab President Jennifer Betit Yen and 72 Hour Shootout Coordinator David Dennis all took the stage to welcome the audience and honor the films. Woo commended all the filmmakers on a job well done, noting the intense competition due to the large number of highly qualified entries this year. “[The Shootout] is about joining together in creating films that not only reflect our country as it is – diverse and cosmopolitan - but also as it should be – diverse and cosmopolitan. [A]t the Film Lab, and through the Shootout, we are not telling you to fight the power. We’re telling you to become it,” said Betit Yen. Dennis jokingly congratulated the competitors on surviving the ordeal of creating a film in only 72 hours. “You made it!” Dennis told the filmmakers in the audience with a smile. The Film Lab management team surprised with a fun, short film honoring the Shootout and starring the management team and Board (including Bea Soong; well known actor James Kyson; Betit Yen; and others), which was directed and shot by Board member Erik Lu and co-directed by Michael Rosete of Descendant Films and can be enjoyed on the Film Lab’s website and YouTube channel. The screening at the AAIFF’13 was followed by an Awards Ceremony and After-Party in honor of all the filmmakers, at which the top forty Shootout films played in the background on a screen over the dance floor. The Awards Ceremony and After-Party took place at The Official 2013 Shootout Party Venue, The White Rabbit, in New York City. Prizes, sponsored by Executive Wear NY, MyJennyBook, Late Cambrian, the Museum of Chinese in America, Equinox, Variance Films, and others, were awarded to the filmmakers. Awards were presented live by Dennis, Betit Yen, Late Cambrina, Variance Film’s Greg Chang, Wynn Salisch on behalf of Executive Wear NY, talent agent David Elliott, entertainer Cindy Cheung, and, by video from Los Angeles, by writer/director NaRhee Ahn. The Film Lab’s next event, also a part of the AAIFF’13, will take place on August 1st and will consist of the reading of an award-winning screenplay by writer Isaac Ho, directed by Film Lab staff member Daniel Finley and coordinated by Film Lab staff member Lorna Nowve. The reading will feature performances by members of the Film Lab’s Actor Directory. For more, please visit http://www.examiner.com/article/the-chinese-delivery-man-wins-2013-aaisc-screenplay-competition and www.asianamericanfilmlab.org. Upcoming projects include the launch of the Film Lab’s new production arm, aimed at the creation of diverse original entertainment content. Special thanks go out to the Film Lab’s dedicated volunteer team: Joanna Shen (editor), Jodie Chiang (Tumblr, YouTube), Joyce Tam (hostess of the live stream), Daryl King, and Hanna Lee, just to name a few. The Film Lab is run under the direction of President Jennifer Betit Yen and the 2013 Shootout was coordinated by David Dennis, an animator and filmmaker whose first 35MM short film, NIKDO, was shot with the support of Panavision and Barrandov Studios. David is a graduate of NYU. Joanna Shen acted as the 2013 Shootout Editor. Joyce Tam hosted the live streaming of the Awards Ceremony and After Party for the 9th Annual 72 Hour Shootout.